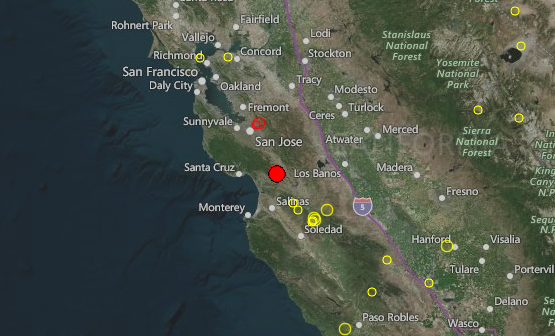 The United States Geological Survey reports a preliminary magnitude 3.6 earthquake struck near Gilroy, California on Sunday. The quake hit at 6:58 AM local time at a depth of 5 kilometers. There was no initial word on damage or injury resulting from the quake. Our prediction (as we were expecting it, was.....California (38N, 123W)...not bad. !